Lilly Reich blouse fashion, Berlin 1917. Home » Lilly Reich blouse fashion, Berlin 1917. Lilly Reich 1885-1945. Blouse in one piece. If tied back and front. 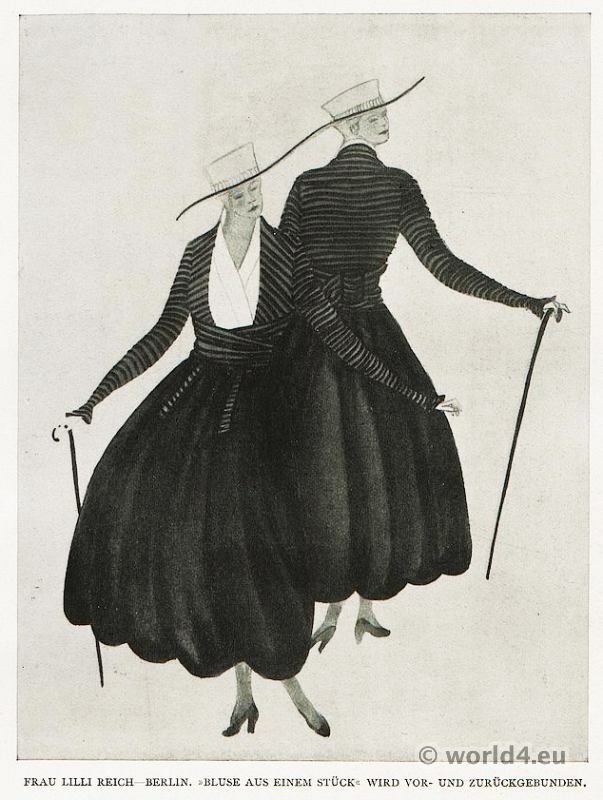 Lilly Reich was a German modernist designer. She worked from 1926 for ten years closely with Ludwig Mies van der Rohe together, including the Barcelona Pavilion and the Villa Tugendhat. She was the first woman to the board of the German Werkbund. In 1932 she became head of the development workshop of the Bauhaus. Iltis hat with brown velvet. Autumn hat fashion 1915. Actress Fritzi Massary in "Die Teresina"
The collector. Jacket by Herrmann Hoffmann. Art deco fashion 1922. AMAZONE. Riding Costumes by Gerhard Bresser. Model of “Canari-Coucou” by couturier Berthe Hermance, Paris 1929. 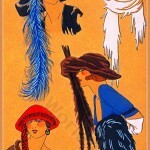 This entry was posted in 10s, 1917, 20th Century, Art Deco Period, Germany and tagged Art Deco Fashion on 4/4/14 by world4.